The former The Police frontman has suffered from tinnitus for years, and admits he once turned to a hearing device in a bid to fix the problem - but he wasn't a fan. "I'm fairly deaf and 'what?' is my favourite word," the Don't Stand So Close to Me hitmaker joked during SiriusXM's Artist Confidential show. "I tried wearing a hearing aid, but I heard more than I wanted to hear! People talk a lot of s**t!" 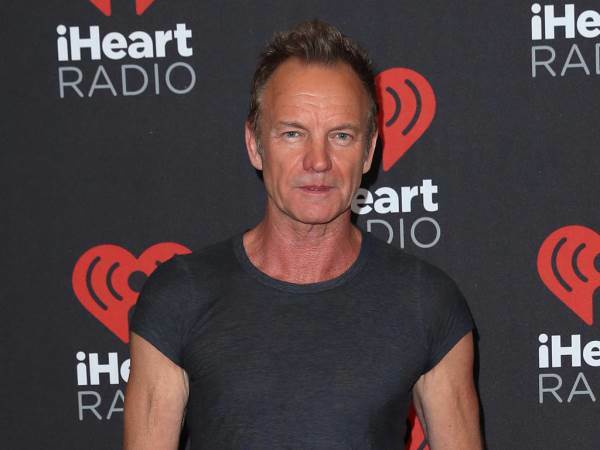 Sting recently played down the seriousness of his condition, admitting at his age, all of his senses aren't what they used to be. "I'm not as deaf as Brian (Johnson, AC/DC singer)," he told Telegraph.co.uk last month, "but I'm not sure what to do about it. I need glasses to read. Hey, I'm 65." Johnson was forced to sit out a string of dates on his band's Rock or Bust Tour earlier this year after doctors warned him he'd lose his hearing altogether if he rocked on. He bowed out of the live shows in March, and his AC/DC bandmates subsequently recruited Guns N' Roses star Axl Rose as a replacement. However, Johnson was given fresh hope in June, when the Thunderstruck singer revealed his hearing is improving, thanks to the efforts of in-ear technology specialist Stephen Ambrose, and his ADEL technology. "It works!" he wrote in a statement updating fans on his treatment. "It just totally works and you can't argue with that. I was really moved and amazed to be able to hear music again like I haven't heard for several years now. I can't wait for it to be miniaturised so I can use it in every situation from normal communication, going out to noisy restaurants (and) performing live music onstage."